If big, bold and bizarrely beautiful is what you’re looking for. Look no further, this is it. Sits at the base of the neck, commanding attention and looking totally stunning. 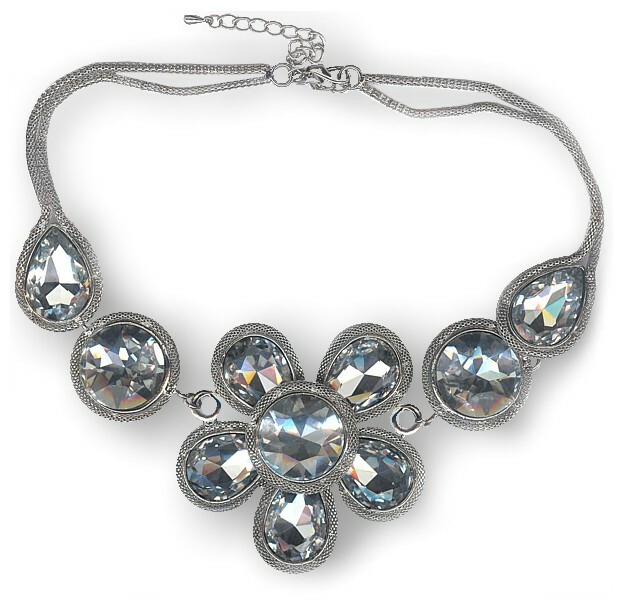 Features one large flower, tipped with a large circle and teardrop on a matt silver two row, snake mesh necklace. Length:: 46cm (18") plus 9cm (3½") extension. Flower centrepiece: 8.2cm (3¼").